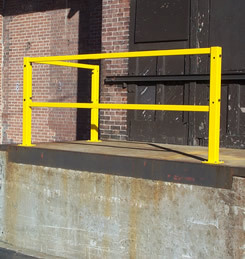 available for use on raised platforms. 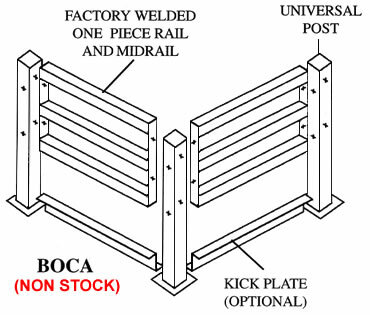 * Staggered hole design allows multi-directional railing assembly. * No left or right handed parts to contend with - all are universal. 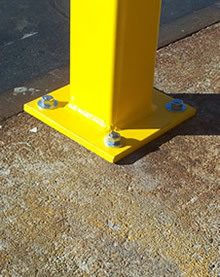 * Optional kickplate constructed of 14 ga. steel formed into a 4"
upon request. 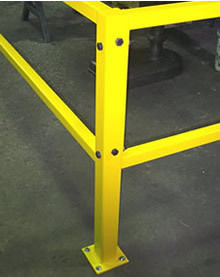 Yellow available for Quick Ship! 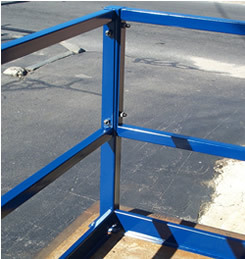 * Optional finish - galvanized for external or severe environments. 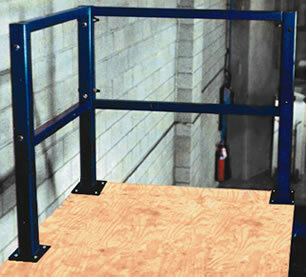 Solid protection for elevated areas. 1. 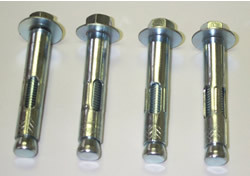 Assembly hardware is included (1/2" plated bolts). 2. Floor fasteners are optional. 3. 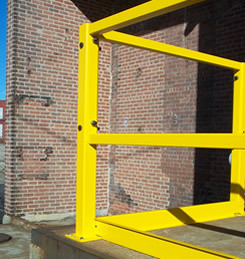 Specify color when ordering - standard yellow, or gray. 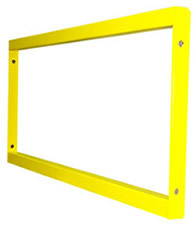 $127.65 by using the price of the standard 8' section RMR-8. 5. Custom sizes and other modifications available upon request. 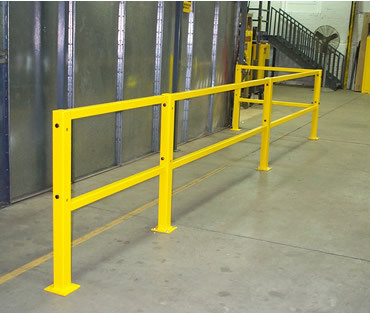 $163.00 by using the price of the standard 8' section RMRB-8. 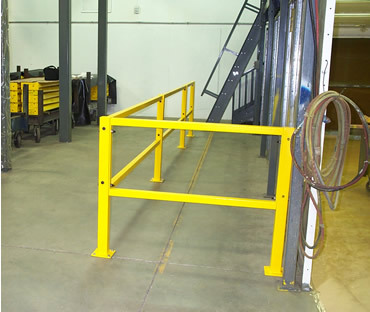 Guardrail, Machine Guards, Rail, Protective Guards, Railing, and Traffic Barricade from your source for material handling equipment.